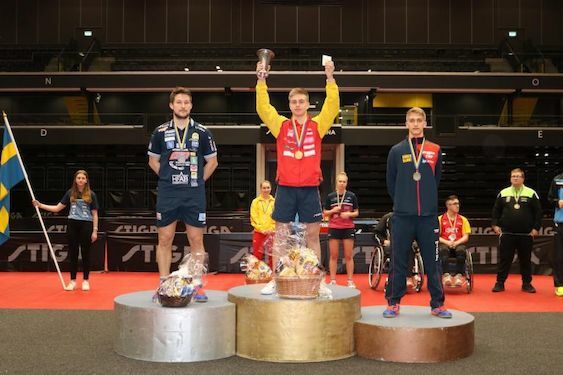 Truls MÖREGÅRDH and Linda BERGSTRÖM clinched the titles at the Swedish National Championships. Since Linda was already in the national team, as winner, Truls booked his tiket for Hungary. As a winner of Men’s Singles Event he will join the team of Sweden at the World Championships at the end of April. Medaljörer i stående klass 7. Medaljörer i stående klass 8.